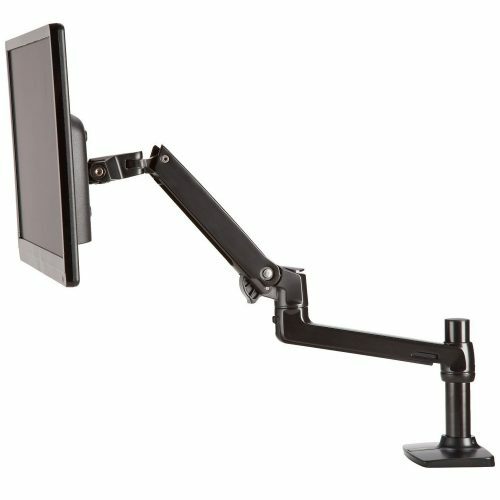 Add this accessory to an LX arm or pivot and position your notebook computer where you need it most. 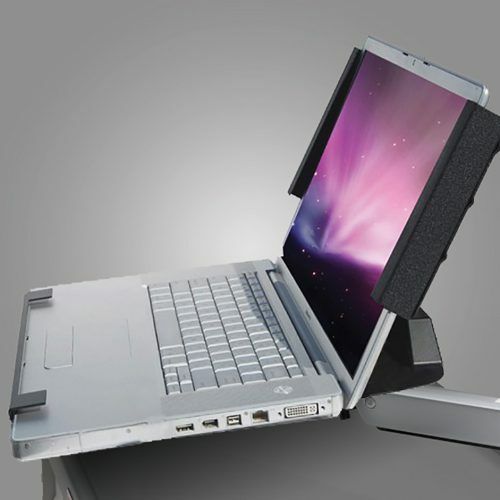 Works with a traditional laptop or with a convertible notebook, in either tablet or laptop mode. NOTE: Does not include P-LXARM. 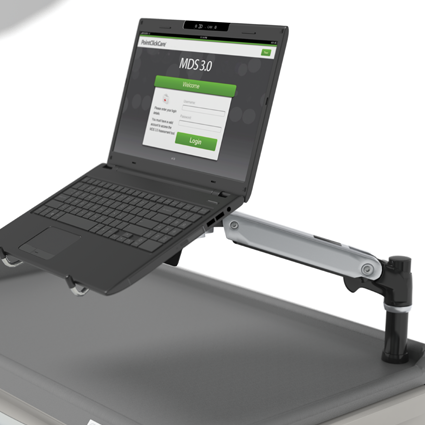 Click here to order the Ergotron Tablet Holder Converts a monitor mount to securely hold a tablet. 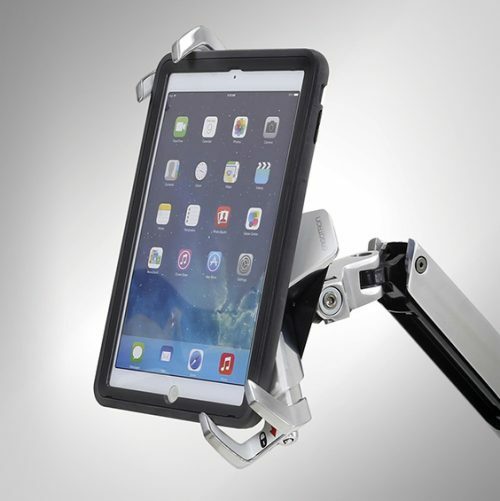 The locking interface makes it the perfect solution anywhere theft deterrence is a priority. It works with most popular tablets, including Apple iPad Pro, iPad mini, Microsoft Surface and Samsung Galaxy. 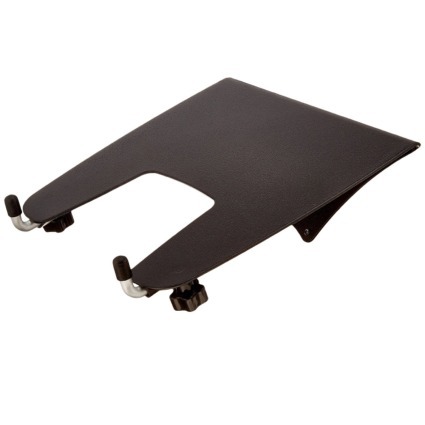 Click here to order the Laptop Security Tray Protects laptops from falls, drops and theft. Fits most laptops from 9" to 16 1/2" wide. Simple to install with no tools required. Laptop monitor remains open- monitor tilts back at 120°. 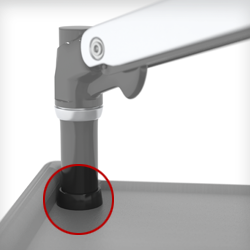 Easily removed by authorized user (key) with no damage to attaching surface. Direct Adhesive Security delivers up to 20,000 lbs anchoring strength. Durable polished aluminum construction! 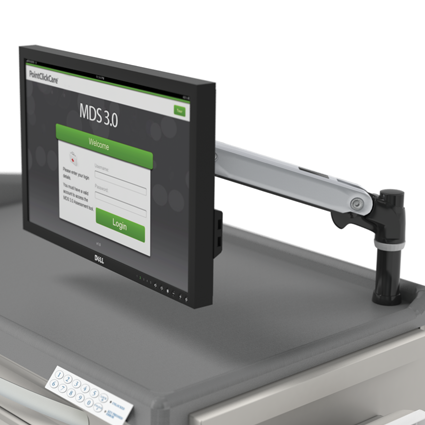 Tested to perform 10 times the expected life-cycle of other competitive brands at roughly half the price. Sleek and streamlined, the LX frees up space. Reposition your LCD with just a touch. Up. Down. Forward. Back. The LX provides unparalleled range of motion. NOTE: Does not include notebook P-NLAPTRAY.